The services are provided and consumed through the integration fabrics, following either the request-response pattern for service invocation or the publish-subscribe pattern for live event streaming. The draft specification ETSI GS ZSM 002 “ZSM Reference Architecture” is publicly available. The interim meeting was also an opportunity to present the first ZSM PoC ServoCloud that aims to demonstrate a ZSM scenario with automated end-to-end SLA management of multi-vendor, multi-domain, secure, VoLTE network services. The PoC team includes EnterpriseWeb, DT, Sprint, Amazon Web Services, Amdocs, EXFO, InfoSom, Fortinet and Metaswitch. The PoC story relates to a congestion event caused by a DDoS (Denial of Service) attack that results in a decrease in the voice quality of a network service. The fault is detected by service monitoring within one or more domains and is shared with the end-to-end service orchestrator which correlates the alarms to interpret the events, based on metadata and metrics, and classifies the SLA violations. The end-to-end service orchestrator makes policy-based decisions which trigger commands back to the domain(s) for remediation. Automated closed-loop control is achieved. More details on PoC#1 can be found at PoC_1_ServoCloud. The slides that were presented in Kista are publicly available at PoC1_ServoCloud_Demo1_slides. The demo was recorded and can be viewed at PoC1 Demo (second half of the video). 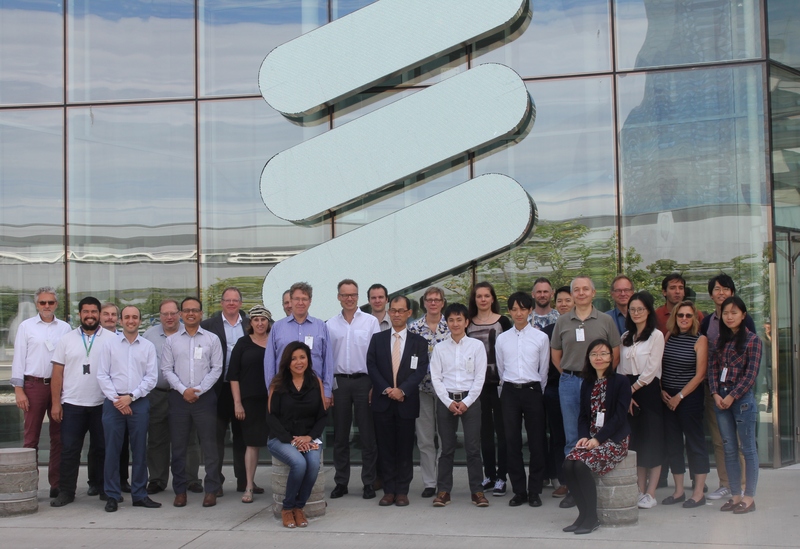 The ZSM team was invited by Viavi and Ericsson to unwind and socialize at a special dinner while cruising around the magnificent Stockholm archipelago and enjoying the beautiful environment. The next ZSM F2F meeting (Interim#2) will be hosted by Nokia in Munich, Germany, on September 11-13, 2018.